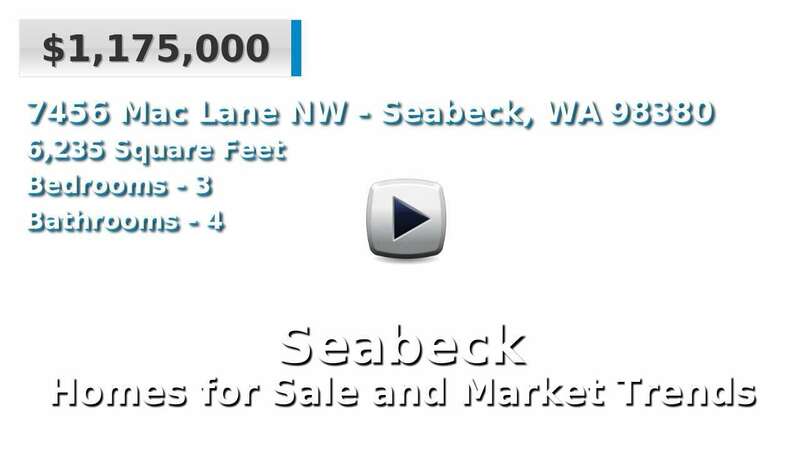 Seabeck is located on the Hood Canal on the westside of the Kitsap Peninsula. It has a population of 1,100 residents and is a part of Kitsap County. Seabeck is 8 miles west of Silverdale, 10 miles southwest of Naval Base Kitsap-Bangor, and about 15 miles west of NB Kitsap-Bremerton. The Seabeck Marina, art galleries and shops, and year-round beach access attract visitors and lifelong residents; homes for sale here are range from old to new and many, of course, have views of the Hood Canal and Olympic Mountains. 3 Beds | 2.5 Baths | 2238 sq. Ft.
2 Beds | 1.75 Baths | 1240 sq. Ft.
3 Beds | 3.25 Baths | 4993 sq. Ft.
2 Beds | 1.75 Baths | 1651 sq. Ft.
3 Beds | 3 Baths | 2833 sq. Ft.